UPDATE: And the winner is....SunAngel Fitness in New Fairfield! Thanksgiving is fast approaching, which means you may want to kick your exercise routine up a notch in anticipation of all the upcoming stuffing and pumpkin pie you'll be devouring. Spinning has become one of the most popular forms of cardio. 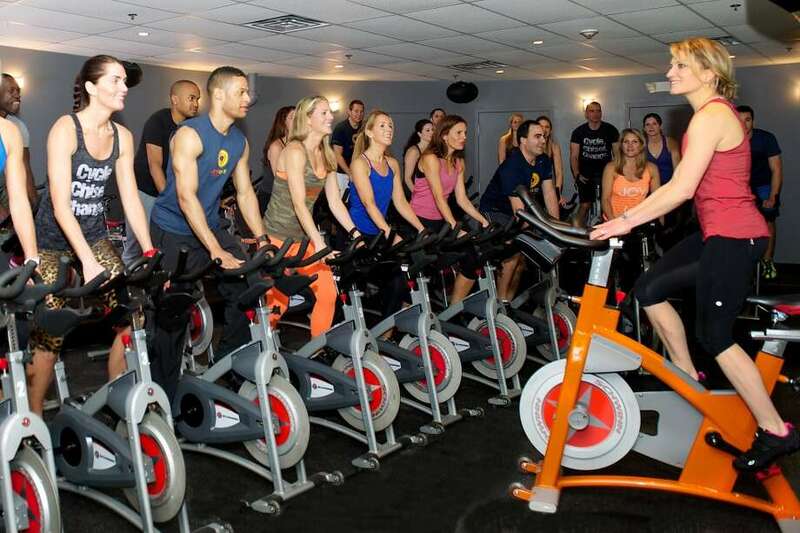 Indoor cycling studios have popped up all over the country, and southwestern Connecticut is no exception. For this installment of "Best Of" we want to know where to go for the best spin classes in the area. Vote for your favorite gym or studio. Don't see your pick listed? Leave a comment and we'll add it. Poll closes at noon on Friday. What's the best spin studio in southwestern Connecticut? Best Of: Spin studios in SW Conn.
Oops! You've already completed this quiz. - Get there early. Even if you reserved your bike online, you'll still need to set up your bike. Plus, if the class is really full and people are on the waitlist, your bike may be given away if you're running late. - Know what footwear you need. Some studios, like SoulCycle and Flywheel, offer clip-on cycling shoes for rent, but require all students to wear them. Others offer "basket" clip-ons that allow for students to wear their own sneakers during class. - Have the instructor or staff adjust your bike, but make sure it works for you. Having the seat pushed too far or not far enough forward can make all the difference in your comfort level. Start out with their advice and adjust the seat, handlebars, and height accordingly. - Stretch! Afterwards, your hips and quads will really be feeling your work out. Take the time to stretch either on or off your bike so that you avoid any future injuries.